^ 楊聰榮. 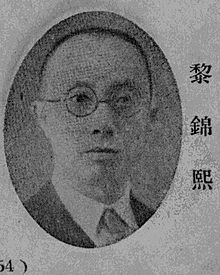 語言問題與語言政策 兼談語言政策對客語族群的影響 (PDF). 前衛出版社. 2002 [2018-02-26]. （原始内容 (PDF)存档于2018-02-26） （中文（台灣）‎）. ^ 香港立法會. 在法院程序上的法定語文使用問題 立法會 CB(2)415/02-03(01)號文件 (PDF). 立法會. 2002 [2018-02-26]. （原始内容 (PDF)存档于2003年11月23日） （中文（香港）‎）. ^ 法 定 語 文 事 務 部. 法定語文事務部. ^ 张奚若. 大力推广以北京语音为标准音的普通话. 中国语文. 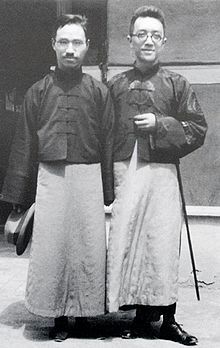 1955年, (第12期). ^ 袁钟瑞. 话说推普 话题五 国语、普通话、华语. 中國語言文字網. [2009-06-27]. （原始内容存档于2009-04-26） （中文（中国大陆）‎）. ^ 国务院关于推广普通话的指示（1956年2月6日）. 中华人民共和国国务院. 1956-02-06 [2009-06-27]. ^ 國立編譯館 (编). 部編大專用書《國語》. 正中書局. ISBN 9570903406. ^ 葉凱欣. 如何協助子女在家中改善發音 (PDF). 香港言聽中心. 保良局蕭漢森小學. 2012. ^ 遵议各省学务详细官制办事权限并劝学所章程[N]. 学部官报. 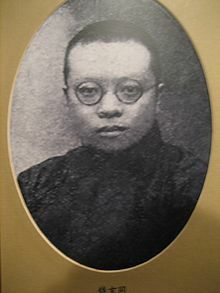 2期，1906 － 09. ^ 戲曲文化：中華文明的藝術奇葩. 華夏經緯網. 2008-06-13 [2009-06-27]. ^ 52.0 52.1 52.2 文／《瞭望新闻周刊》记者： 周大平、张乐 、彭友. “方言保卫战”背后. 《瞭望》新闻周刊. 2006,. 2006年01期. ^ 57.0 57.1 香港中文大學教育學院. 對「用普通話教中文」的反思. 2008-09. ^ 吳英成. 新加坡雙語教育政策的沿革與新機遇 (PDF). 新加坡: 南洋理工大學國立教育學院. [2013-08-28]. 黄伯荣、廖序东. 《现代汉语（上、下册）》. 2002. ISBN 7-04-010638-8. Duanmu, San. 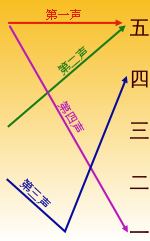 The Phonology of Standard Chinese 2nd. Oxford: Oxford University Press. 2007. Lin, Yen-Hwei. The Sounds of Chinese. Cambridge: Cambridge University Press. 2007. Lee, Wai-Sum; Zee, Eric. Standard Chinese (Beijing). Journal of the International Phonetic Association. 2003, 33 (1): 109–112. doi:10.1017/S0025100303001208. This page is based on the Wikipedia article 現代標準漢語; it is used under the Creative Commons Attribution-ShareAlike 3.0 Unported License (CC-BY-SA). You may redistribute it, verbatim or modified, providing that you comply with the terms of the CC-BY-SA.